Placentas: Prepared in the Client's Home or Specialist's Workspace? The placenta only comes in contact with the sanitized kit or disposable materials provided by the PES (placenta encapsulation specialist). The placenta rarely, if ever, comes in direct contact with the location’s surfaces. The placenta is prepared using an identical protocol. There is no variation in method based on the location. The sanitation of the surfaces and equipment is precisely the same. Universal precautions are used in ALL circumstances. There is no arbitrary reason for a location to be “safer”. There is no chance of an accidental “mix up” occurring with a trained, ethical and trustworthy PES. Whether the placenta is encapsulated in the client’s home or the PES’s space, the protocol requires working on only one placenta at a time per location. PES operate on a first-in, first-out basis. The PES’s ethics, professionalism, experience, and training do not change based on where s/he prepares a placenta. The client can choose to ask questions and evaluate the protocol of the PES. The client can request thorough documentation on the condition of the placenta and how it is processed, including: weight, shape, size, abnormalities, variations, dehydration time, weight of powder, number of capsules, etc. The amount of driving is typically the same for the PES: two round trips; unless the client drops off the placenta to the PES and picks up the finished capsules. Placenta encapsulation is typically not regulated by cottage industry laws or FDA guidelines because PES are not processing placenta for mass consumption in a commercial kitchen, nor are PES placenta pill manufacturers. PES provide a custom one-to-one service. There are no laws specifically addressing the profession of placenta encapsulation. Some states have laws pertaining to the transport of organs for transplant. These likely do not have verbiage covering the specific case of transporting a placenta for encapsulation. Placentas are typically classified as “products of conception”. Likewise, some states have laws covering the mass transportation of medical waste. The transportation of a single placenta intended for encapsulation may or may not be specifically included in those laws. It’s worth contacting your state to clarify. In general there is a lack of specific legal language about transporting a single placenta regardless of who the transporter is. The client can choose to observe the preparation of the placenta in person. The client can choose to observe the cleanliness of the preparation space in person. The client transports their own placenta to their home so that it remains in their possession. The client can possibly have more in-person connection with the encapsulator. The client’s visitors have the opportunity to learn more about the encapsulation process directly from the PES. The PES can accommodate more clients in their schedule because s/he can be preparing multiple placentas in multiple locations at the same time (although that requires multiple sets of supplies). The PES does not have to take on the risk of bringing someone else’s blood products into their home or workspace. The PES does not have to restrict access to their own kitchen (or other workspace) in order to prepare a placenta. The PES does not have to transport the placenta. The client must give up use of their kitchen while the PES is working. The client must have adequate space, organization and cleanliness for the placenta to be prepared in their home. The client may have to explain placenta encapsulation to friends or family members who visit during the process, even if they might prefer to maintain their privacy and not speak about their choice to consume their placenta. The client must hold the placenta at their birthplace and transport it to their home… all while maintaining a safe temperature. They must allow someone, likely a stranger, into their home during a highly sensitive time of transition. The client will experience the sights, odors, and sounds of the entire placenta preparation process. The client will experience a delay in receiving their pills if the process has to wait for them to return home from the birth place. If the PES is injured in the client’s home the client may be liable. The placenta will be left dehydrating 12-24 hours in the client’s home under their supervision. The client’s kitchen will be exposed to the blood-borne pathogens of the client. The PES must enter the home of a stranger alone which could be a risk to their personal safety. The PES assumes the risk of working in the home of someone else and can be liable for any damage occurring while there. The PES may have to pay for childcare (if s/he has children) during the entire preparation process instead of just for transportation time. The PES may arrive in the client’s home to find it is not adequately prepared for encapsulation, increasing the amount of time, effort and supplies required to complete the process. The client’s home kitchen is not a controlled environment; family members and pets are able to access the preparation area. Once the PES leaves the placenta to dehydrate s/he has no idea what may happen and s/he cannot observe to be sure the dehydration process is undisturbed. The PES is not able to check the placenta for doneness on a regular basis so it’s possible s/he will arrive to finish the process and have to leave again if it’s not fully dry. The PES must encapsulate during normal business hours. The PES must transport their entire kit to the client’s home which may be cumbersome. The client can maintain their privacy and not have a stranger in their home. The client can have the encapsulation process begun within hours of birth. The client can choose which they prefer: having the PES transport the placenta OR transporting the placenta to the preparer’s location. The client can choose to observe the process via Skype or live-streaming video, if they wish (and the PES offers it). The client can likely receive their pills faster since they don’t have to wait to be home to begin the encapsulation process. The interruption to the client’s postpartum time is minimized. It can be just 5 minutes for the pick up and 5 minutes for the drop off. Or it can be more extended and personal, if the client wishes. The client does not have to explain to anyone what they are doing with their placenta. Full discretion is maintained. The PES can acquire and begin the encapsulation process within hours of birth. The PES can process the placenta at any time of the day or night. The PES can pick up the placenta quickly and ensure safe transportation to the workspace. The PES does not have to transport the placenta if the client prefers to bring it to their space. The PES can maintain the sanitation and organization of the space to their standards. The PES can control access to the preparation space at all times and observe the placenta throughout the entire dehydration process. The PES is not required to (but may still choose to) pay for childcare during the entire preparation process, only the transportation time. The PES does not have to enter an unknown home alone. The PES does not have to transport their entire kit to the client’s home. The client cannot control access to the preparation space at all times. The client cannot observe the preparation process in person. If the PES is already preparing a placenta, the client will need to delay the start of their placenta until the the process is finished and the space has been sanitized. The client may have less time for in-person connection with the PES. The PES may be unable take on as many clients since they cannot prepare more than one placenta at a time unless they are maintaining multiple workspaces. The PES has to bring someone else’s blood product into their home or workspace. The PES has to restrict access to their own kitchen (or other workspace) in order to prepare a placenta. Can the placenta be professionally and safely prepared in the client’s home? Yes. Can the placenta be professionally and safely prepared in the preparer’s workspace? Yes. The location of preparation is not what makes an encapsulation specialist competent, safe or professional. Almost any location can be made safe and sanitary for the preparation of a placenta. The client is the only one qualified to weigh the benefits and drawbacks of each preparation location and decide where they want their placenta prepared. They deserve to make that decision without scare tactics or pressure and hire a specialist who is happy to meet their needs. The placenta specialist has the right to decide where they want to prepare placentas based on their own needs and priorities. The Association of Placenta Preparation Arts advocates PES research their own local laws and regulations pertaining to providing a food safe preparation service in their community. APPA advocates that if a PES is preparing outside of the clients home, they use a dedicated workspace with quality equipment outside of their family kitchen. Amanda Johnson, Founder & Director of Education, IPPA (Full Circle) Placenta Encapsulation Training, encapsulating placentas since 2005. Rean Cross, owner Lucina Birth Services, encapsulating since 2009. Amanda Englund, Placenta Power Encapsulation Services. Happily serving the Portland Metro area since 2009 with over 500 clients. Diksha Berebitsky, Certified PES, CD(DONA), CIMI, CBE, encapsulating placentas since 2009, over 450 clients served. Jesse Dykhuis, providing Professional Placenta Encapsulation Services in MN since 2008. Lisa Kestler, Hill Country Placentas, serving clients since 2011, over 554 placentas prepared. Emily Fontes, encapsulating placentas since 2010, 238 clients served. Nova Bella Conte, CIES(FCP), PCD(DONA), CLC, CBE, encapsulating placentas since 2012, over 200 clients served. Denessa Hicks, placenta encapsulation specialist since 2013. Cindy Collins, Placenta Encapsulation Specialist & Herbalist, encapsulating since 2009. Heather Cheek, BBCI, Doula & Placenta Encapsulation Specialist, owner of Atlanta Birth Services. Stephanie Ross Alouche – Trained under hand of TCM practitioner in 2003. Doula, Breastfeeding Support Specialist and PES. Wise Birth Choices Placenta Services encapsulating placentas since 2010. Antonina Whaples, clinical certified herbalist and placenta encapsulator in Winston Salem, NC. Christi Trimble, Birth & Bereavement Doula and APPA Trained PES. Owner of Luminosa Wellness & Birth Services. Stacey Beeley-De Almo, BSW, CLC, CCCE, owner BirthTender Doula Services, placenta specialist since 2011. Michelle Collins, encapsulating placentas since 2012. Megan Halberstadt, doula & placenta specialist. Courtney Durfee, APPA Content Co-Author and owner of Hudson Valley Placenta Services. Hollea Hertlein, PES since 2013, CD, CLC, CBE and an apprenticing midwife. Kasey Goodnough, encapsulating placentas since 2012. Suzie Dougherty D’Angelo, COTA, BAI doula in training & PES. Alecia Smith, encapsulation specialist and herbalist. Encapsulating since 2013. Kelly Harper, owner of Elemental Beginnings Postnatal Services. Founder of Placenta Services Australia. Megan Mays, doula and placenta specialist (since 2012) at The Kindred Joy Company. 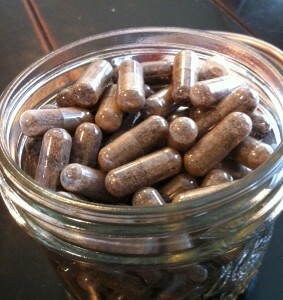 Mary Betsellie, placenta encapsulating on Long Island , NY since 2012. Erica Lundgren, CLD (CAPPA), Placenta Specialist since 2012, over 200 placentas prepared. Kylie Sempsrott, Encapsulation Specialist at Indianapolis Placenta Encapsulation, APPA member, encapsulating since 2013. Maria Pokluda, doula since 2007 and PES since 2011 serving Dallas, TX. Ilka Fanni, doula and PES since 2011 over a 100 clients served. Morgan Jones, Encapsulation Specialist since 2012 owner of Fruit of Labor, over 120 clients served. Shawna McLaggan, offering placenta services since 2012, over 200 clients served. Natalie Myers Erdossy, encapsulating since 2010 with over 200 clients served. Amanda Kimbley, serving Bremerton, WA. Mariah Falin, placenta specialist in Everett, WA. Jennifer Valencia, BBCI, CD(DONA) and owner of Guiding Angels Birth Services, offering placenta services since 2013. Megan Mata, Doula Meg Birth and Postpartum Care, Full Circle Encapsulation Specialist Fremont, CA. Julia Pickett, CD(DONA), LCCE and Certified Independent Encapsulation Specialist (FCP). Serving Indiana and Kentucky since 2012. Abby Block, encapsulating placentas since 2013. DONA certified doula and Integrative Nutrition Certified Health Coach. Amber Bergen, placenta specialist, doula, owner of Peace Tree Blessings, member of APPA. Carly Ceccarelli, certifying PES through PBI since 2014, East Valley Birth Services. Barbara Wener, labor & post partum doula, placenta specialist. Creator and manager – The Greater East Bay Placenta Specialists. Melinda Schneck, Full Circle encapsulation specialist. Jennifer Clancy, doula, pool rental, PE, CBE and prenatal health coaching in the DC metro area. Lacy Hierwarter, Co-Owner at Connected Birth VA, PES since Jan 2015. Melanie Belk-Nasmyth, Afterbirth Anywhere (national) & Natural Afterbirth (local Atlanta, GA) – providing clinical encapsulation services to 600+ mothers since 2010. Courtney Blake, Mother’s Own-Placenta Encapsulation Services, Ann Arbor, MI. Debbie Rotunno and Danielle Joseph-McKay of Long Island Placenta Specialists (2011). Christina Mensah, Breukelen Birth, Full Circle Placenta Encapsulation Specialist. Jennifer Wakefield – Placenta Encapsulation Specialist since 2014, pursuing APPA training and certification. Lisa Hutchison, Owner of ROOTS Birth Services, Placenta Encapsulation Specialist. Hali Shields, placenta specialist in Chicago and surrounding suburbs. Rachel McCloskey, CPM, serving Columbus and Central Ohio. Karen Owen, placenta specialist in North Carolina. Laura Hopper, placenta specialist since 2008. Hamilton Doula Group, providing services since 2008. Ellen Dostie, CIES (FCEC), The Placenta Hacienda serving Orlando, FL since 2012. Angela Gifford, Hazel Tree Birth and Placenta Services, serving the Portland metro area since 2012. Balanced Birth Services, has been providing professional, full-service placenta encapsulation services to the Denver Metro area since 2012. Amanda Devereux, Nola Nesting, offering placenta services in or outside of the client’s home in New Orleans. Jessica Thomas, serving all of the Sacramento, El Dorado, Placer, and Solano counties. Allison Emery, certified placenta encapsulation specialist, owner of Blessed Beginnings Wellness.